ray=out is a non-profit, independent Japanese and Chinese animation and comics translation and subtitle provider. ray=out was founded in Bergen, Norway by former AnimeNfo Radio owner and administrator, Cristopher B. (Doff), close friend Andreas O. (Ryoma-kun), and two Americans, Tanbir A. 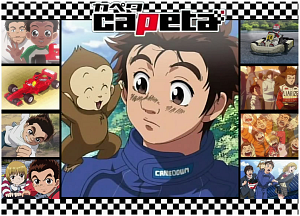 (regged) and Alben C. (YinYanX) as a subtitling group for the Capeta anime. Cristopher B., the former leader of ray=out was best known for his continuous leadership and management of AnimeNfo Radio, a division of anime and manga database website AnimeNfo.com. A year after the founding, the leadership and management of ray=out was passed onto current leader, Saad S. (alchemist11).